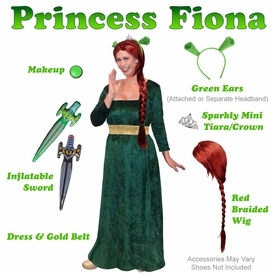 Planning to be Plus Size Princess Fiona from Shrek this Halloween? 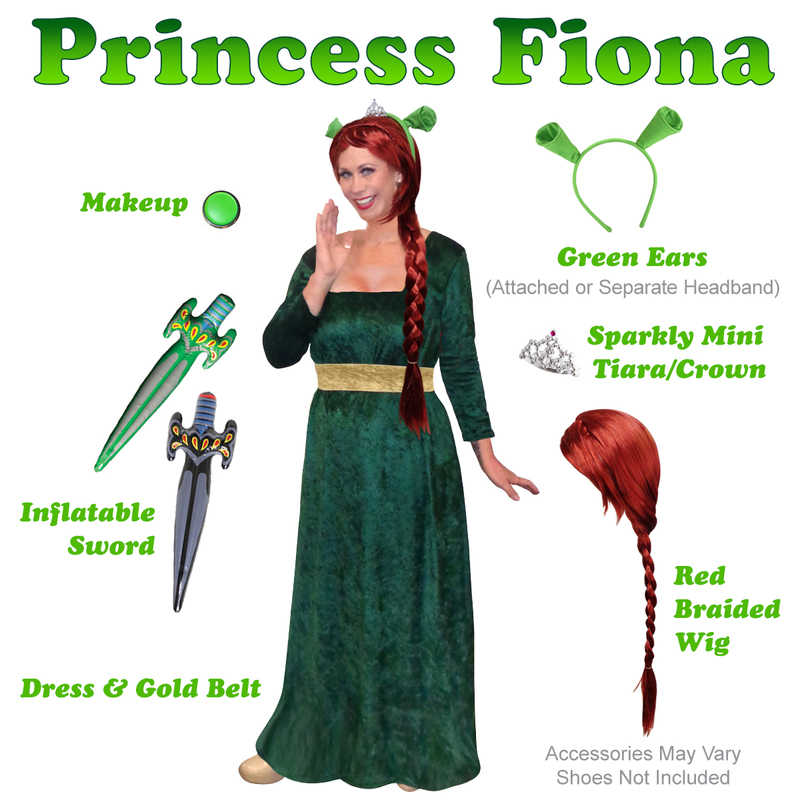 With this Plus Size Princess Fiona costume and accessory set, you'll have everything you'll ever need! Accessories may vary slightly. Shoes not included. Or - Order the kits & save! 20005 hc20005 hc-20005fiona Fiona hc20005fiona hc20005-fiona "fona costume"
4'10 - 4'11" 42" - 44" 46" - 48"
5'0" - 5'2" 44" - 48" 48" - 50"
5'3" - 5'5" 48" - 52" 52" - 54"
5'6" - 5'7" 52" - 54" 54" - 56"
5'8" - 5'9" 54" - 56" 56" - 58"
5'10" - 5'11" 56" - 58" 58" - 60"
6'0" - 6'1" 58" - 60" 60" - 62"
6'2" - 6'3" 60" - 62" 62" - 64"
6'4" - 6'5" 62" - 64" 66" - 68"